Precision Temperature and Adam and Melissa Ontiveros, owners of Precision Temperature, enjoy giving back to our San Diego area community and building relationships with other local businesses and residents. In the same way our heating, air conditioning, and commercial refrigeration services enhance the lives of our valued customers, we believe in helping to better their communities and lives in other ways, as well. One cause that is particularly close to our hearts is Team Parker For Life, a 501 (c)(3) non-profit pediatric cancer support charity. Team Parker For Life raises morale for kids battling cancer while raising awareness about childhood cancer, supporting cancer research, and being a voice for the children in their fight against this devastating disease. Unfortunately, because of its low rate of prevalence, pediatric cancer is a largely unknown and underfunded disease, making advocating for awareness and research crucial to helping prevent any child from suffering childhood cancer. Team Parker For Life pursues their mission of raising the morale of childhood cancer patients and helping the children and their families through their Game Changer 4 Life and Hero 4 Life programs. The Game Changer 4 Life program enriches the lives of children receiving treatment for their cancer by providing them with opportunities to interact with other kids and participate in group activities, even when they are isolated due to extreme illness, through the use of two-way radios. The Hero 4 Life program is a grant program designed to financially assist the families of children currently receiving pediatric cancer treatment during their difficult journey. These programs, as well as Team Parker For Life’s support for childhood cancer research and clinical trials, are reliant on fundraising and donations. Precision Temperature is proud to support Team Parker For Life by funding two “Heroes of the Month” through the Hero 4 Life program, sponsoring two children to help them and their families with their expenses as the children undergo treatment. Additionally, if you mention Team Parker For Life while scheduling your service call, we will donate part of the proceeds to Team Parker For Life, at no extra cost to you! We strongly believe in the mission of our dear friends at Team Parker For Life and the good they have done for our community and for many children’s hospitals throughout the U.S. To schedule your service in support of Team Parker For Life, please give us a call at (619) 588-5321. If you would like to contribute to Team Parker For Life, we encourage you to participate in the Family 5K Run/Walk to Help Cure Pediatric Cancer on Saturday, June 25th, 2016 by registering here. Visit the Team Parker website now to donate or to learn more about how to support childhood cancer advocacy. As part of Precision Temperature’s mission to help better our local San Diego community, we are proud to support the Santee School District Foundation as a Young Golfer Sponsor in their 13th annual Golf Classic on June 28th, 2016. The Santee School District Foundation is a 501(c)(3) non-profit organization dedicated to providing financial, material, and service resources to helping Santee schools produce good citizens and future leaders for our community. 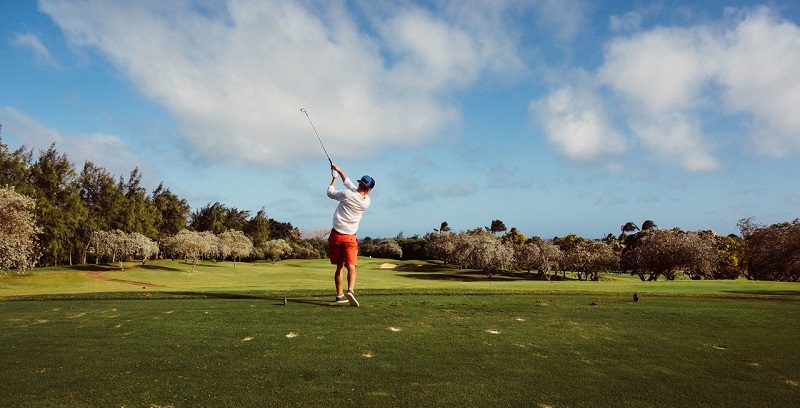 As a Young Golfer Sponsor of the Santee School District’s 2016 Golf Classic, Precision Temperature is sponsoring two teams of four high school golfers each as they compete, learn, and grow in the tournament. Our sponsorship of this event helps increase learning opportunities in educating San Diego-area children for their future. We are proud to support the Santee School District, our long-time clients, through the Golf Classic to “Make Learning Fun” while helping provide science, technology, engineering, arts, and math education for Santee School District students. We appreciate all of our valued customers, whose patronage allows us to give back to our community in this way. Precision Temperature invites you to come join us at the 13th annual Santee School District Foundation Golf Classic on June 28th. For details and to learn what you can do to support education opportunities and help local children grow into good citizens and leaders, please visit their website at http://santeefoundation.net/.